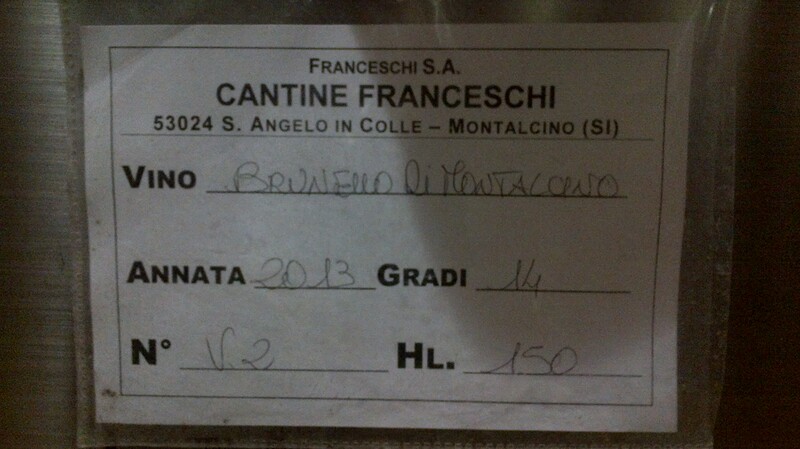 Montalcino is my next tour. The home of Brunello, the king of Italian wines. Even that the weather is not the best because of rain me and my wine Broker friend and some other guests decide that nothing can stop today because we knew that the company that invited us had organized a beautiful surprise. And so we did , took the cars and straight to Tenuta il Poggione. When we arrived there the Manager and the owner Leopoldo Franceschi was attending for us. A beautiful winery where everythink was organized to the minimum of the details. The manager guide us inside the cantina where he explained about the wines and the devotion of all the staff on producing every single bottle that this company put on the market. One thing is still in my mind from his words where he keep repeating it more than once:variety of crops and wild animals are allowed to live in harmony with nature. that is not us that make the wine but the farmers outside that take care of the grapes. 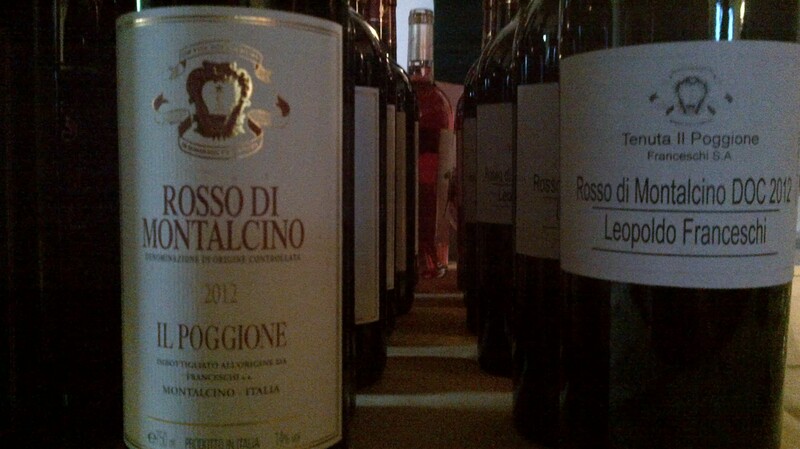 Tenuta il Poggione produce more than 600 thousands of bottles, what make it one of the biggest producer of Montalcino where 200 thousands are Brunello di Montalcino. Brunello is the prince of Montalcino wines, produced exclusively from Sangiovese grapes picked by hand from vines at least 20 years old. 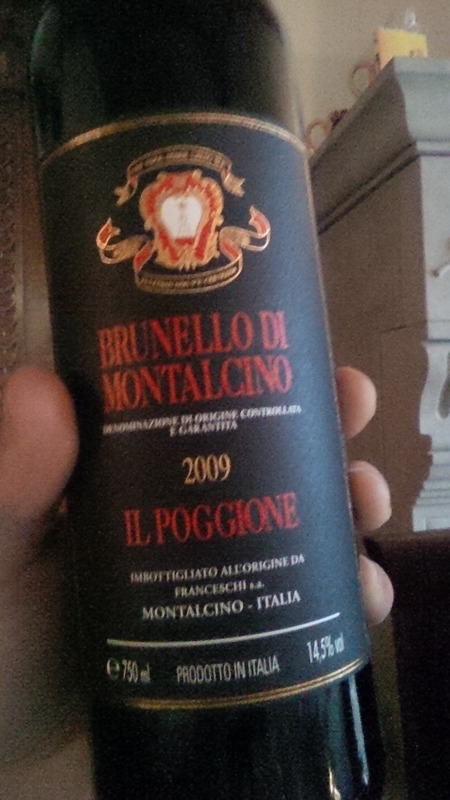 After careful fermentation at controlled temperatures, Tenuta Il Poggione Brunello di Montalcino is matured for 3 years in French oak barrels. After being aged in wood, the wine is bottle aged for a time, an essential process in guaranteeing the pleasing quality and complex attributes that have made this wine world-famous. The other red wines of the estate are Rosso di Montalcino and one Supertuscan, A younger, more fruity wine, it is produced from Sangiovese and Merlot grapes, hand harvested in the winery’s own vineyards. 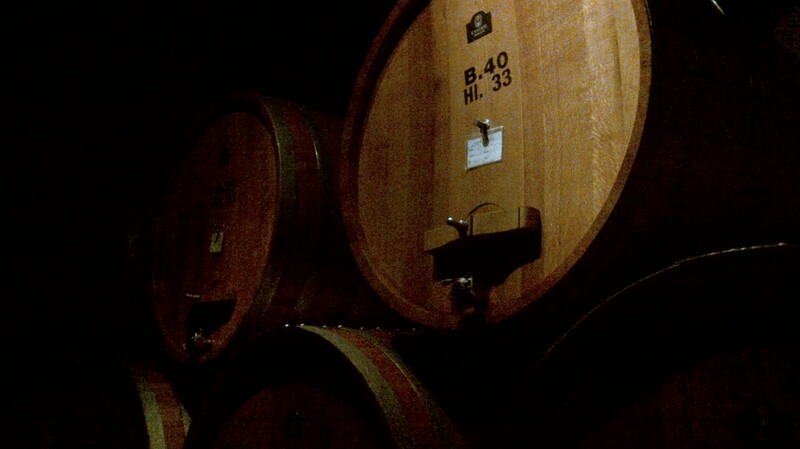 After the fermentation it ages in large French oak barrels and barriques. The winemaking and the combination of Sangiovese and Merlot, make this wine soft and ideal for the everyday enjoyment. After the guide inside the cantina is time for the surprise that the staff organized for us. 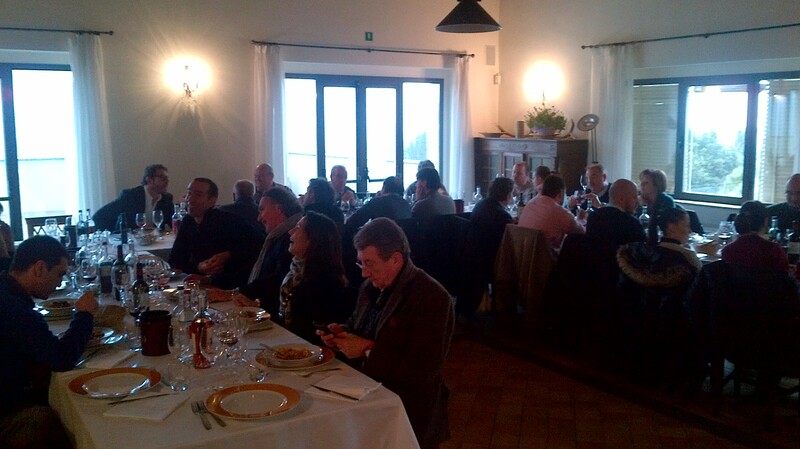 Is a wonderful traditional lunch with wild boar and thrushes a wild bird typically of the area of Montalcino. All this was hunted from the owner Mr Leopoldo. The lunch started with some tuscan ham, sopressata and some bruschetta dressed with their own oil. This dish was accompanied with young rosé wine made with 100% sangiovese and later two red wine. Rosso di Montalcino 2012 and a special new entry for the estate il Rosso di Montalcino Leopoldo Franceschi were the owner selected the best oaks to make this red wine and sign with his name. All this two wines were a preview because they gonna in the market next year. 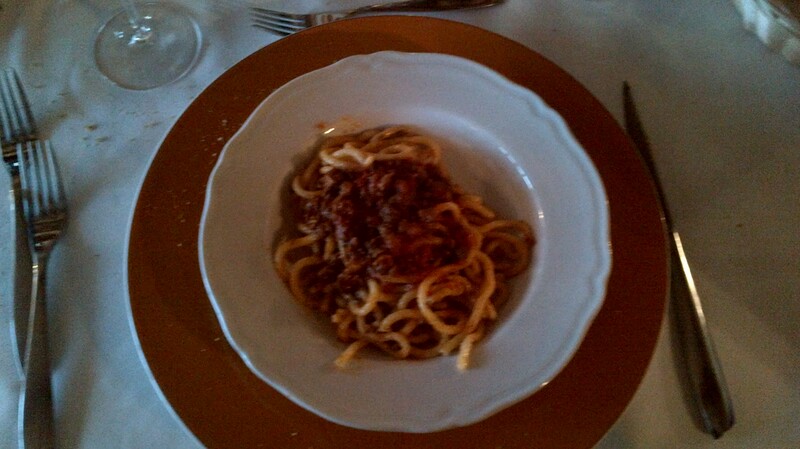 The first dish was nothing else than the traditional pasta of Siena Pici with Wild Boar ragout. 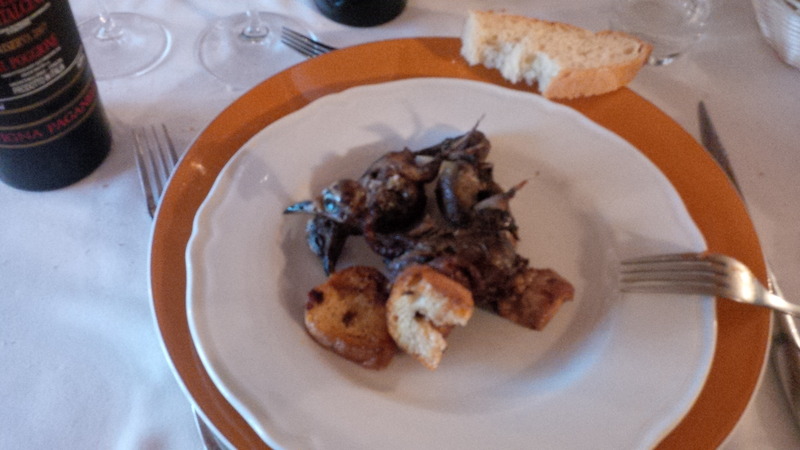 This flavorful and tasty dish needed nothing else than the king of the wines in Montalcino, Brunello. The wine was also a preview because was a 2009. Very very young but it hides inside a strong character that soon is going to explode bay passing the years. After with the main dish that was skewers of thrushes and steak of boar we drunk a Riserva of Brunello di Montalcino 1999. What to tell perfect combination of the full bodied wine with strong taste of the dish. An elegant and persistent wine but never invading the palate, every seep remind the smell of the earth after the rain and leather , the tobacco and black pepper, nuance of red fruits specially the cherry a perfect finish. After with the dessert i tried for the first time in my life an amazing sweet wine that for years i was snobbing. 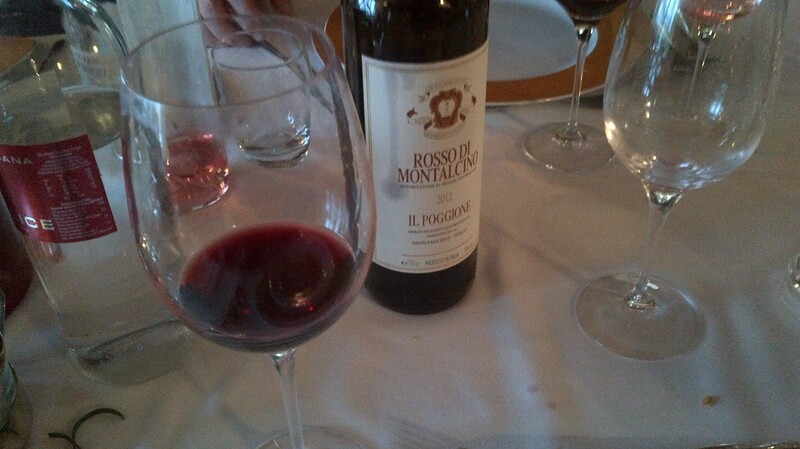 Moscatello di Montalcino a fizzy sweet wine with natural foam taking (Charmat method). An amazing experience. See you soon on Chianti Classico Collection were I’ll tell you for new great wines.